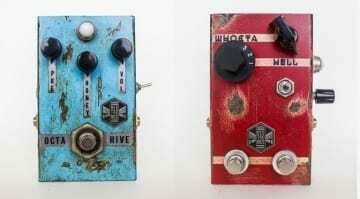 Orange Amplification has just announced two new pedals: Fur Coat Fuzz and Getaway Driver. 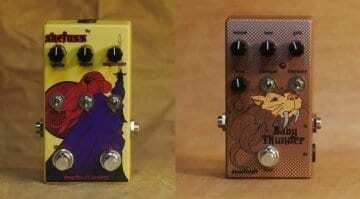 One is based on an amp, the other an older classic ’70s fuzz box circuit. 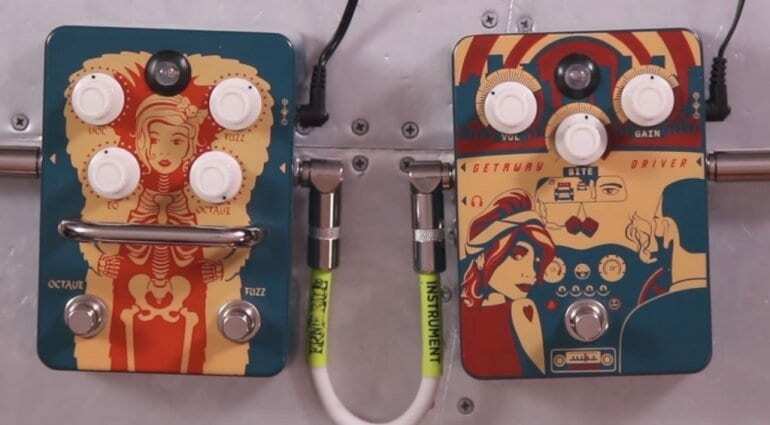 With the same cool graphics style as their Kongpressor pedal, these two new additions look like a lot of fun. 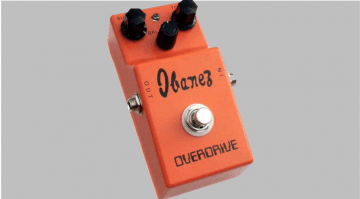 According to Orange, this is not just an overdrive pedal, as the Getaway Driver has an additional headphone output with a built-in cab simulator. The saturation is to based on the Orange Rockerverb. The are controls for Volume, Gain and Bite, the latter being how much treble you add to the circuit. The gain structure is produced using a single-ended JFET circuit running in Class A. There’s an input buffer and output buffer plus that Cab Sim I mentioned above, all handled using op-amps using an internal charge pump in the circuit to give 18V of headroom. Judging by the sounds we’ve heard online, this is a very full sounding overdrive pedal with a lot of gain potential, which at the end of the control range becomes very dense and also fuzzy. 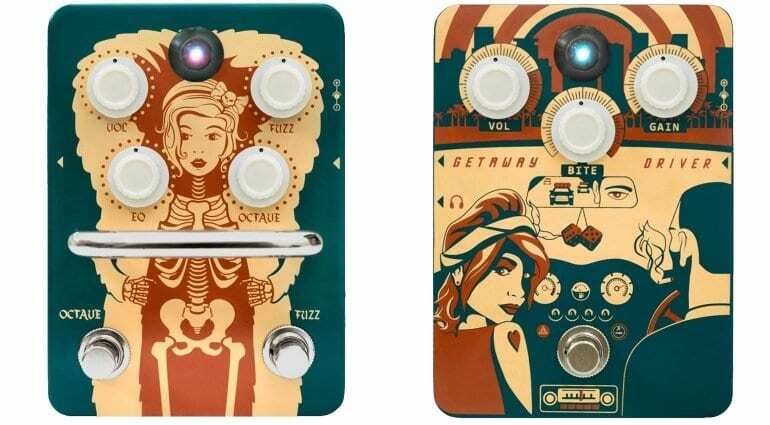 Orange are also launching a new Octave Fuzz, based on the Fox Tonemachine of the 1970s. This vintage vibe makes the Fur Coat Fuzz a bit more special. Orange has included Volume, Fuzz, EQ and Octave controls. The On/Off and Octave foot switches can be toggled separately. This style of fuzz is not subtle and you will either love it or hate it. I have found that with original Fox pedals, you need to play them at gig level volumes for them to sound great, as at lower levels they sound thin and weedy. I quite fancy trying one of these out myself, as I do like a nice octave fuzz pedal. Currently, I am using a more subtle Voodoo Labs Proctavia in my live rig, but if this new Fur Coat Fuzz is any good, I could be tempted to get one.